A designer-quality wall mount bathroom faucet made in high quality brass and coated in polished chrome, brushed nickel, old bronze, old copper, or gold. 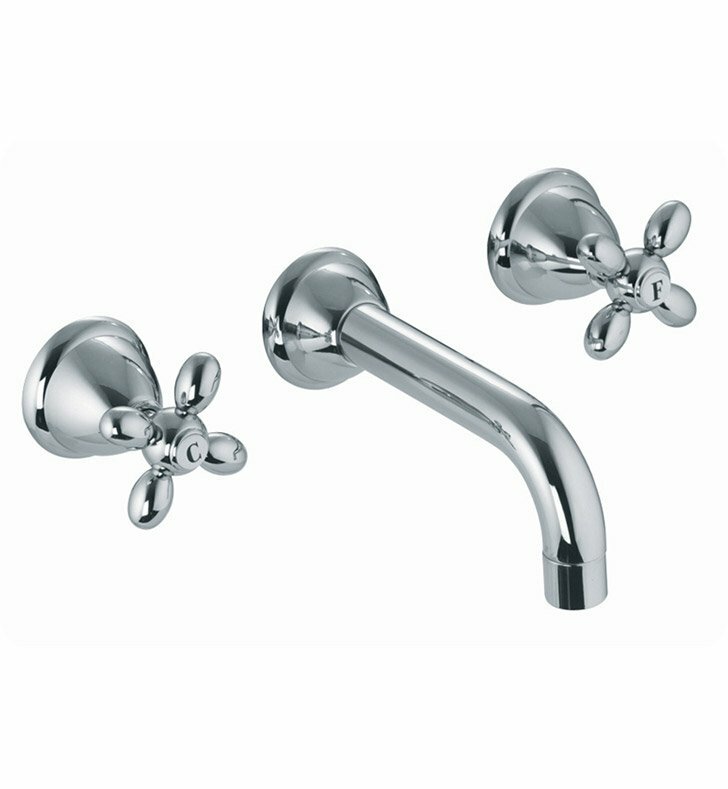 This 3 hole, double handle (cross handle style) bathroom faucet from the Fima Carlo Frattini Olivia collection is a classic-style bathroom sink faucet. Made in and imported from Italy. Is perfect for your decorator bath.